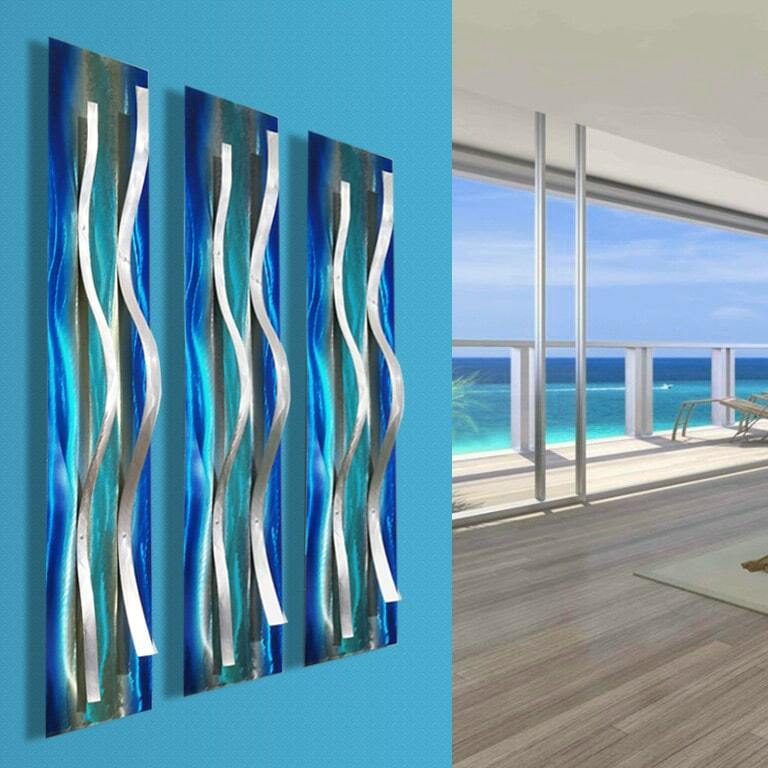 60″+ Wide x 44″ Tall x 6″ Deep (All 3 pieces included) They can be spaced to set apart at your desired overall width. 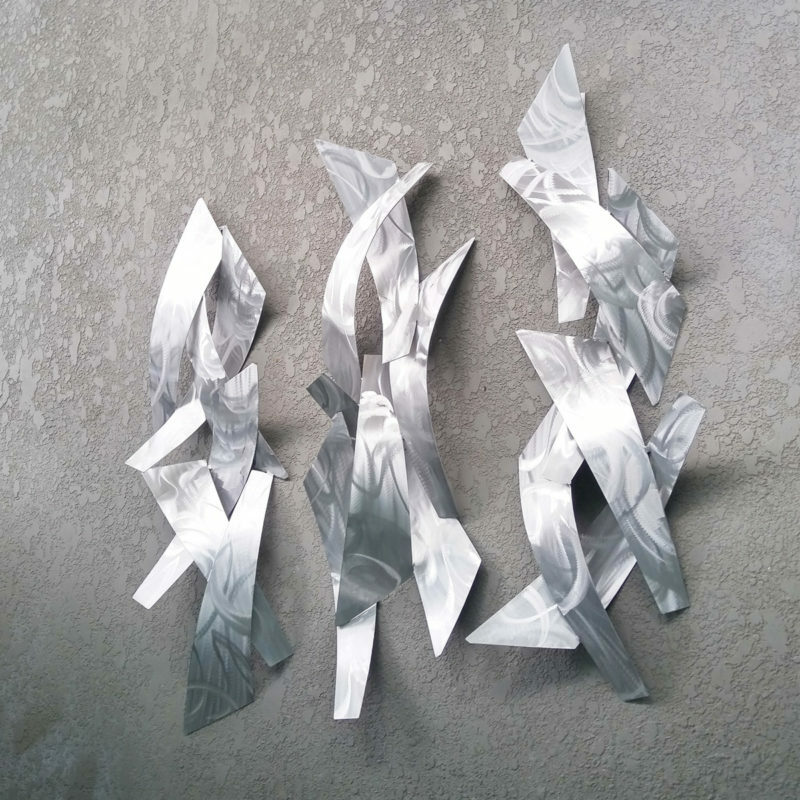 This set of silver metal wall sculptures are 3 dimensional and made from high quality corrosion resistant aluminum. 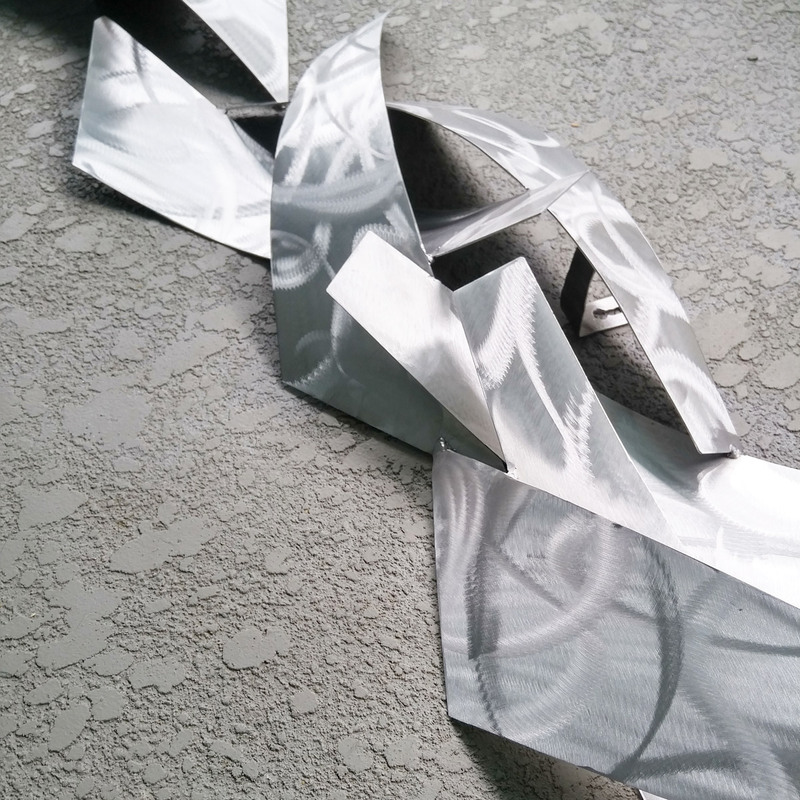 These uniquely textured sculptures are made up of metal pieces that curve off of the surface. Additionally, they are designed to look different from every angle. 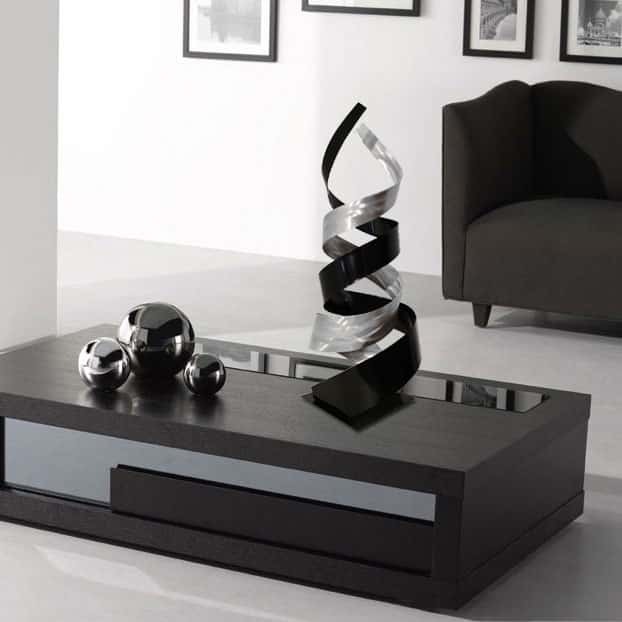 This set is another signature design that can only be purchased direct from the artist. 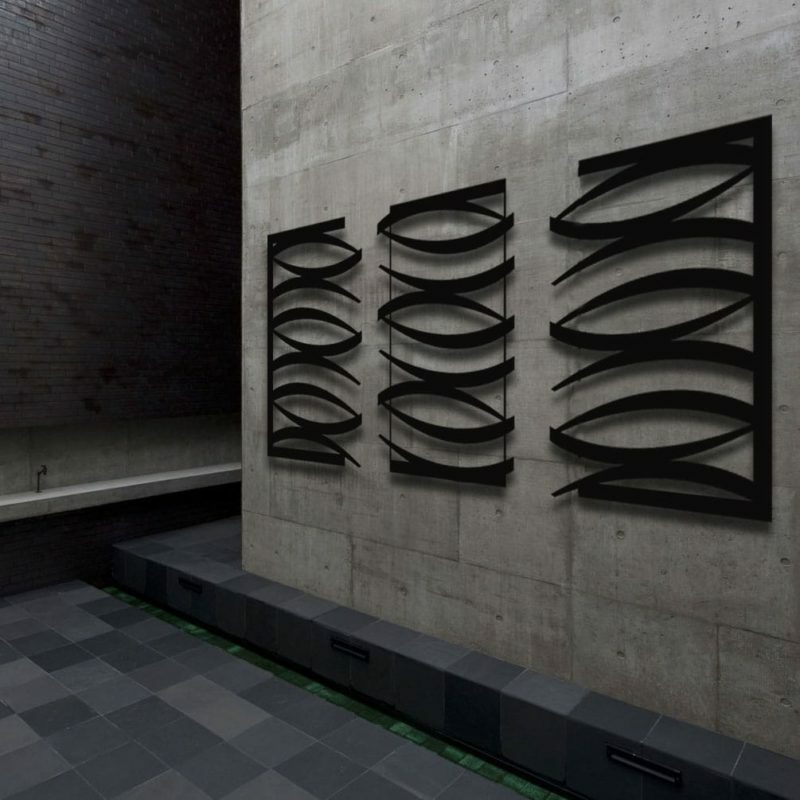 It is similar to the Tempest freestanding sculpture, but designed specifically for flat wall surfaces. 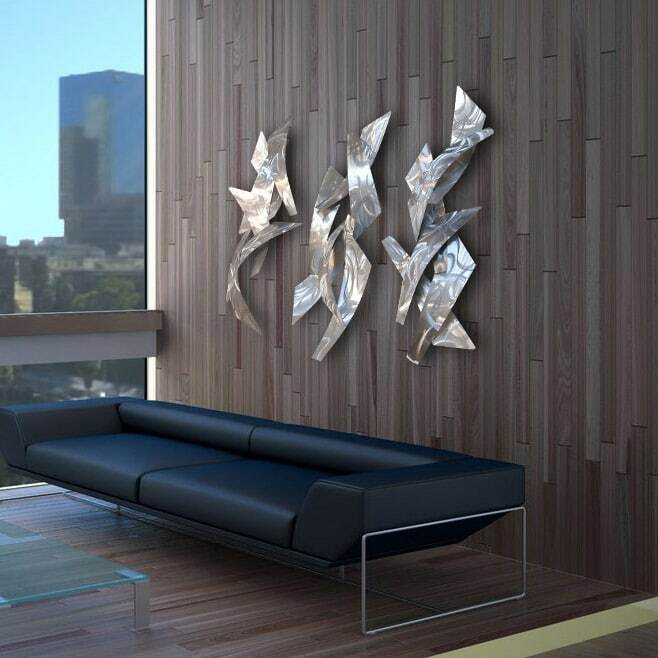 A silver metal wall sculpture that will surely make a focal point and compliment your space.